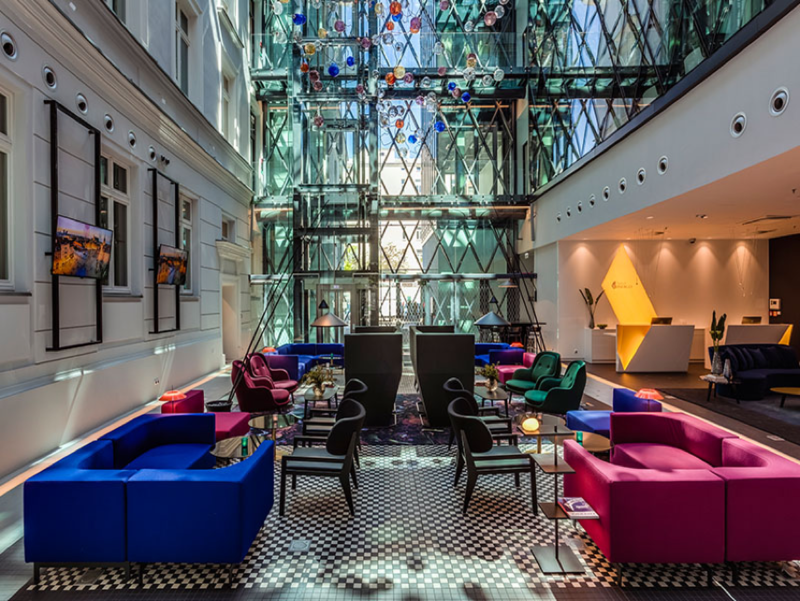 Hotel Indigo Warsaw, Nowy Świat – what do guests most appreciate about this place? Hotel managers are well aware of the fact that the opinion about a given facility is one of the main factors determining the customers choice. The opinion forming power of the Internet is confirmed by the numerous reviews written by travelers on the web and in social media. Hotel Indigo Warsaw, Nowy Świat, belonging to the international brand Intercontinental Hotels Group, is one of the highest rated hotel facilities. The guests satisfaction with their stay at this place is confirmed by the hundreds of positive reviews submitted by Internet users, among others, on the booking.com website, as well as the recognition in the Prime Property Prize awards. The jury of this competition appreciated Hotel Indigo Warsaw, Nowy Świat in the category of the Investment of the Year, not only for the beautiful hotel interiors but also for the innovative solutions. Hotel Indigo Warsaw, Nowy Świat is located in the very heart of the Polish capital. The comfortable stay of the guests in their rooms is ensured, among others, by the iLumio TV system, which offers our clients two way communication from the level of the TV set, the ability to order hotel services or to book a table in a restaurant using an ergonomic remote control with a gyroscope. It also provides access to the calendar in which the guests can manage their travel plans. At Hotel Indigo Warsaw, Nowy Świat our efforts aimed at meeting the expectations of our guests are not limited to the iLumio TV system. Our facility also provides guests with an interactive information channel iLumio Digital Signage, thanks to which our clients are up to date with the necessary information about various offers, promotions and attractions. – We were looking for a flexible solution in order to provide Internet television not only in the guests’ rooms. We also wanted to provide our clients with current information about services and promotions available in the public areas, and that is why we decided to choose the software from iLumio which meets all of our expectations – says Grażyna Kania, the General Manager at Hotel Indigo Warsaw, Nowy Świat. The hotels owners also remembered about the youngest guests and provided attractions for children in the form of games and applications that enable them to spend time in an interesting way. We need to keep in mind, that ensuring the satisfaction of travelers is not limited to the stage of hotel booking. Therefore, providing guests with an exceptional experience associated with their stay is a multistage process. High quality services are a guarantee that the guests will appreciate the hotel and leave a positive opinion about it, which will be the best recommendation.